Best way to keep your 1-lb bag of Secret Drink Mix fresh? With a Clip-n-Seal. That white plastic thing hanging off the side of a 1 lb bag of Skratch is a Clip-n-Seal. 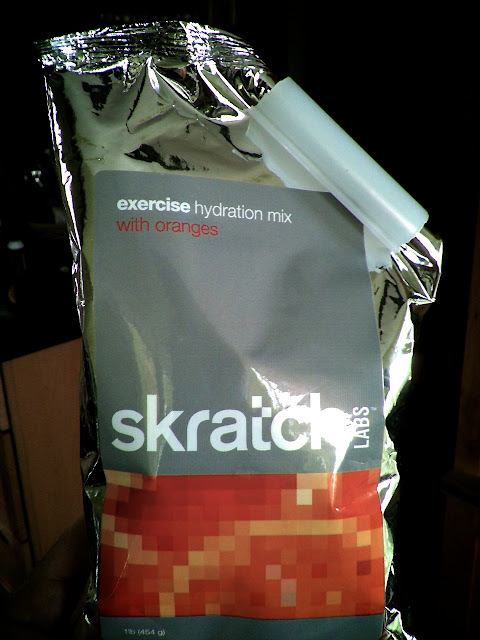 One of our readers and Clip-n-Seal fans sent us this photo of Skratch Labs Everyday Hydration Mix in his pantry. Clip-n-Seal is a bag clip that the parent company of Bike Hugger, Textura Design, invented and brought to market a decade ago. It’s quite the little bag clip that’s flown in space, been frozen in Antartica, and used in the production of carbon wheels like ENVE. Really. Try it yourself on your Skratch, chips, coffee or whatever else you need to keep fresh.